Just as when you were younger, your body type will determine how easily - and just how much - muscle you can add. See what you should be doing. Be careful, an injury at forty will take much longer to heal than when you were twenty. Exercise and physical activity can help build strength, balance, flexibility, and endurance. Getting fit after the age of forty can be daunting. Not only do we have to build muscle where there is none, but due to the aging process, our skin has started to lose elasticity and has blessed us with saggy knees and behinds, networks of fine lines on our face, hands and arms, joints that are more susceptible to injury, cellulite in places other than just our thighs and, joy of joys, hormone fluctuations as our bodies try to come to terms with the fact that our child-bearing years are over. Aren't we lucky! But if you haven't been in shape and decide it's time to give it a go, you have made the wisest decision of your life! There has been much research conducted on the benefits of exercising to us Baby Boomers. It A Go, You Have Made The Wisest Decision Of Your Life! Recent studies have shown that exercise and physical activity can help you maintain or partly restore your strength, balance, flexibility, and endurance. The American Heart Association states that regular, moderately intense physical activity can lower your risk of heart disease, heart attack and stroke, diabetes, high blood pressure and high cholesterol. And if that weren't enough reason to exercise, you will also sleep better, feel better overall, deal with stress better, have more energy and have a better outlook on life. When you turn 40, you have to realize that your joints are also 40 years old, and you may need to modify your exercise intensity and routine in keeping with the physical, physiological and hormonal changes that have and are taking place. The normal reaction to this phenomenon is dieting, which leads to further muscle loss. Each lost pound of muscle depresses the body's metabolism by about 40 calories a day. Restore Your Strength, Balance, Flexibility, And Endurance. An aerobic routine coupled with strength training, a healthy diet and stretching can replace the lost muscle, get the body's metabolism back up, and keep weight off permanently. So your goal needs to be on exercise, strength training and eating right. By strength training, you add new muscle mass and increase cardiovascular endurance, both good things. But as mentioned before, you need to be aware of your joints and take things slow and easy. An injury at forty will take much longer to heal than when you were twenty. And chances are that being unable to exercise will cause you to slide back into your old habits - which of course will lead to putting on weight and losing the firm body you have worked so hard for. That being said, you need to remember this: when starting a new exercise regimen, moderation is the key. Start with low-impact exercises, low weights when weight lifting and be sure to include lots of stretches before, during and after your workouts. Mass And Increase Cardiovascular Endurance. Just as when you were younger, your body type will determine how easily - and just how much - muscle you can add. Granted, most of us over forty don't want to look like bodybuilders, but then again there are some who do and to them I say: Go for it! There are three basic types: ectomorph, mesomorph and endomorph. Typically the ectomorphs are the "hard-gainers", those who most likely have been slim all their lives and have small frames, little fat and long, lean muscles. Picture those Ethiopian runners competing in track and field events. They epitomize ectomorphs. A mesomorph is a body that is in most ways "average," not overly large and muscular and not round and fat. The real difference between an ecto and a meso is the ability to gain both fat and muscle. Ectos have difficulty gaining either while mesos can grow fat if they are inactive and overeat and likewise can transform into hard bodies with a modicum of effort. Many NFL Quarterbacks are good examples of Mesomorphs. Lastly is the endomorph. These body types are typically rounded with belly fat, hips (for women) and double chins. They can, however, add muscle fairly easily when it is approached correctly and combined with clean eating and the addition of cardio. Many large bodybuilders are endomorphs, having to restrict caloric intake drastically (i.e. a cutting diet) prior to a competition to reveal the massive lean muscles they have developed that lie hidden under a sheath of body fat. While there are a few people who are truly one body type or another, most of us are a combination of two, with one type being more dominant than the other. Knowing your own body type will help you understand both your nutritional and exercise needs for losing fat and gaining muscle, and will also help you to plan a long-term strategy that is reasonable and does not set you up for disappointment. In other words, if you are an ectomorph, don't expect to have bulging biceps overnight. It is going to take time for you to add that extra lean mass. Here are training and nutrition regimens broken out into the three major body types. These are not meant to turn you into Hercules or Sheena, these are meant to increase your strength, lean muscle mass and overall fitness level. Again, you may need to adapt your routine to coincide with your own unique body type. Nutritional And Exercise Needs For Losing Fat And Gaining Muscle. 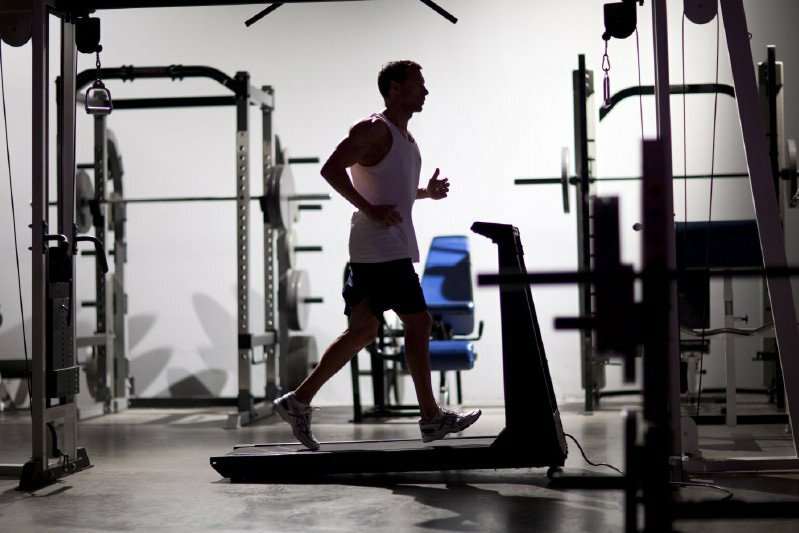 Keep cardio conditioning at70% of your max heart rate for no more than 20 minutes per session. Keep cardio conditioning at70% of your max heart rate for no more than 20 minutes per session until you build your cardiovascular system, then you can raise your target heart rate. No More Than Three Times Per Week. You must lift weights on a regular and consistent basis. You must always warm up and stretch prior to working out. You must undertake some cardio activity a minimum of 3 times per week. You must eat clean and supplement your diet. You must increase your protein intake to feed your muscles. You must start out slow and avoid injury. You must drink a gallon of water per day. You must limit or eliminate alcohol. You must quit smoking if you are a smoker. After the age of forty, adding muscle and losing fat will take a little longer - the important thing to remember is don't rush it. Yes, it may take a little longer to achieve the hard body you desire, but with patience and determination it can be done. No matter your age, make a commitment to fitness that lasts a lifetime. Coming up in Part Two: Muscle-Building Basics - Sue Wilkerson will give you insight into how and why muscles grow and what to expect when embarking on your muscle-building journey.